The college colours are blue, gold, white and black. Our college logo symbolises a small and large person who are linking arms. This is designed to represent both our younger students working with our older students, as well as the partnership between staff and students alike. As of 2017, we have just over 200 students involved in our Student Voice program. 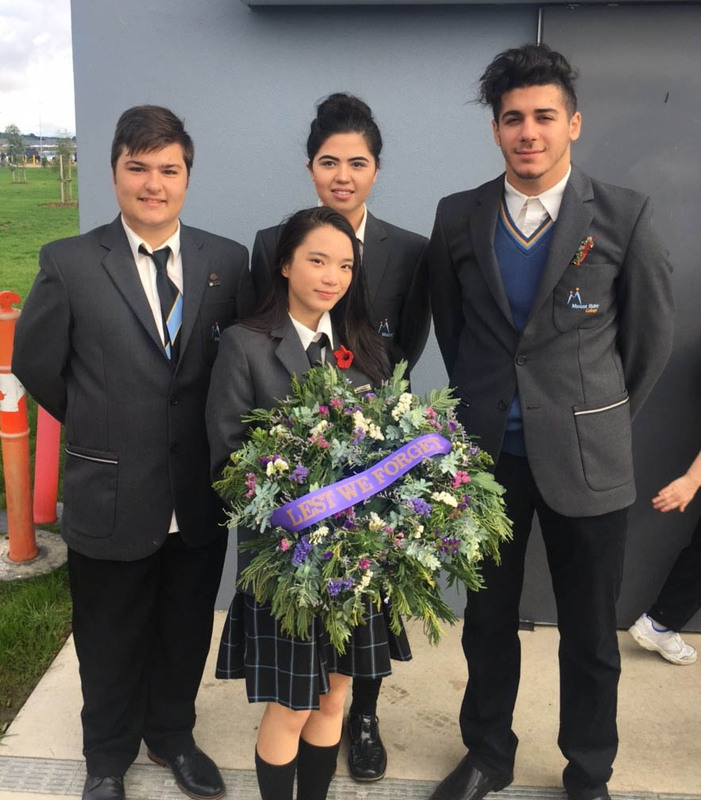 These students range from Year 1 up to Year 12 and work hard both in their respective Mini Schools and in the wider school community, to ensure issues they care about are addressed. Besides fundraising for worthy charities, the students are a vehicle for change and aim to provide their peers with a genuine voice about matters important to them. The students are ably led by Mini School captains, House Captains, Cultural Captains and Class Captains. Mount Ridley College’s values centre around respect and tolerance, honesty and trust, personal success and responsibility. Every year, the school focuses on a different animating principle, based on one of the school’s values. The purpose of our animating principle is to drive the college values. This year’s animating principle is ‘Be Honest, Build Trust’. You can see our students striving to be honest and build trust every day both in class and in the yard. Mount Ridley College has four house teams; Cleveland, Highbury, Aitken and Hampton. These house teams wear blue, white, black and gold respectively, in order to boost team spirit. All students are assigned to a house when they enrol at the college and they are encouraged to earn points for their house team through participation in sporting activities, extra-curricular activities and by demonstrating the school values. We believe the house system is integral in building community spirit at the college. We believe in the personal growth and development of every student, and recognise the profound contribution student voice provides to the development of whole college community values, teaching and learning. The provision of a wide range of opportunities for leadership enhances student self-esteem, drives positive College vision and values, and fosters partnerships between students, staff and parents. Student leaders contribute positively to their wider community. Our Student Voice program continues to grow strongly. This year we have over 200 students involved in Student Voice throughout the College. Student input into formal decision-making is integral to the success of our College. A formal and transparent Student Leadership program provides forums for students to express their views and opinions, as well as suggesting and preparing implementation plans for improvements to our College in consultation with staff and College Council. By encouraging Student Voice participation we are developing community leaders of the future. A representative and fair process of placing students into key positions of responsibility provides students with the opportunity to undertake training, share and communicate views, plan and participate in activities that create an exciting and caring College environment. Student Voice contribute directly to the wider development of their community and society through conscience raising and outreach. At Mount Ridley College, leadership is embraced as a life-long quality, and is encouraged among all members of our community.